Learn about basic shawl shapes & start your own! 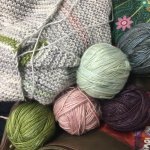 Tackle cable knitting and fun bobbles in this single-session class. Explore the beautiful effect you get with this fun technique and a color-shifting yarn. Pinkies Out! this is the class you need to finish all your incomplete knitting and finishing projects. Casting off, weaving the ends in, and blocking are just the beginning! bring your projects and we can help you get across the finish line! Learn to knit a simple hat in the round. 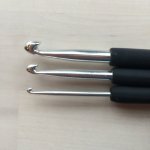 Three Session class will teach basic crochet stitches and techniques. Learn to knit with our experienced instructors. 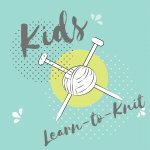 4 sessions, learn all the basics of knitting stitches and tools. Learn to knit a simple sweater that fits! Learn to fix your mistakes without ripping out your knitting (or your hair). 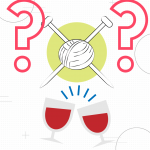 Unwind on a Friday evening with your knitting buddies - have a sip and join the Knit-A-Long!